Everyone says that you should act your age. But, I say you do act your age, that is you do act as an eleven year old for three and eight add up to exactly that. Have a happy 38th birthday. Oh my God! You are still so young. I mean you are still two years short of entering into your forties and isn’t that too young. Happy birthday. Age is just a number and you have truly proved it. For even at thirty eight, you look as young and fresh as ever. Have a happy birthday. It seems only yesterday when we were celebrating your thirty seventh birthday. I still can not believe a year has gone by since. Have a happy birthday. Let everyone say you are thirty eight years old but if you ask me, I believe you are thirty eight years young. Have a youthful birthday. You are like Edward Cullen, stuck in your 17th year for the last 21 years. Have a crazy, fun filled birthday. Happy birthday. I am so glad you are my friend or who would have thrown so many parties in the last thirty eight years and invited me. Happy birthday. Thirty eight years is too less a time to know a person like you. I hope we get to spend many, many more years together. Happy birthday. Twelve more years and you would complete the half century of life. Wishing you a happy and youthful birthday. Happy birthday. Have a great birthday. Hope your thirty eighth birthday is full of fun and life just like you and more. Enjoy your day. Three eight. Really? Damn I could swear you still look like a person on the threshold of twenties. Hope you enjoy your birthday. Happy birthday my dear. It is said each birthday is the start of a new chapter in the book of life. Congratulations on finally starting on your thirty eighth. Hope it is better than the rest. Happy birthday. You don’t look an year older than you did last year when you were thirty seven. I wonder how you have maintained yourself so well. Happy birthday. Its has been thirty eighth years and till now I could never find a gift that was worth a great friend like you. Happy birthday sweetheart. Lets celebrate your thirty eighth birthday with loads of fun and laughter for this is a special day and we should celebrate it in a special way. Happy birthday. Thirty eight years back the earth received its best gift ever in your form. Every year the celebration is just a reminder of the good luck. Have a great birthday. Lets get mad today. Lets celebrate it like eleven year olds. Cakes, fancy dresses, parties and lets make it complete in every way. Happy thirty eighth birthday. You have reached that golden year after which your hair would start getting silver and fine lines would appear on your face. So enjoy while you still can. Happy thirty eighth birthday. You are a very lucky lad for you have been pampered and blessed each day for the last thirty eight years. Hope this year is filled with even more fun and good wishes. Thirty eight years of experience doesn’t seem to have any effect on you. Have a great and crazy birthday. Happy birthday. 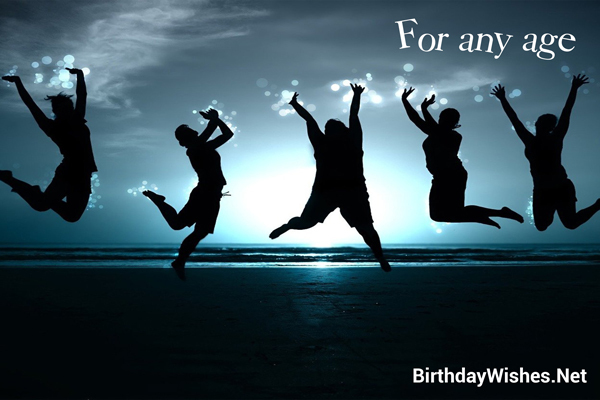 Check out this amazing collection of 38th birthday wishes, the 38th birthday wishes on this page incorporate the messages from these article, but feel free to add your own.